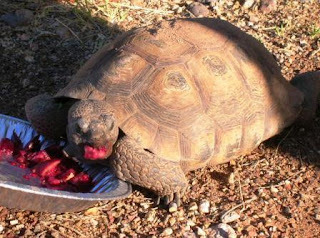 And if you have an extra minute, do also check out my posting of August 10 for a photo of a HUGE Desert Tortoise in Tucson - a remarkable creature indeed! 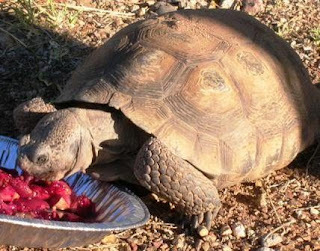 The Tortoise Adoption Program is a great way to help out the tortoises who need homes! And a tortoise adds so much personality to the yard~it's like having a bit of the wild desert right outside the back door. 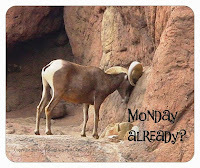 Thanks for posting these and for the link to the Desert Museum's program. Thanks for your comment! I hope that lots of folks who admire Lucretia think about creating a backyard burrow and applying to adopt one!